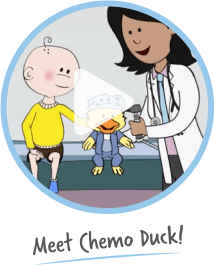 Gabe’s Chemo Duck Program™ is a unique educational program offered by Gabe’s My Heart, a nonprofit organization that supports children and families living with cancer. 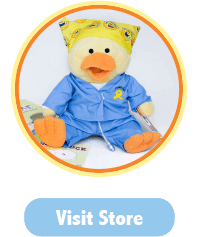 Created by a mother for her son Gabe when he was diagnosed with cancer at a young age, Chemo Duck is a soft, cuddly companion that provides huggable hope and alleviates fear and anxiety. 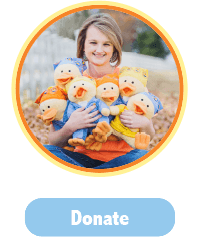 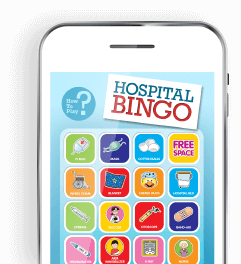 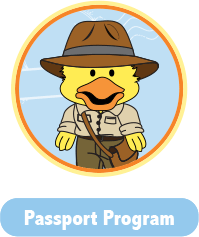 Developed with the help of child life specialists and medical professionals, the Chemo Duck Program helps introduce children and families to their new life and encourages healing through the power of play therapy.